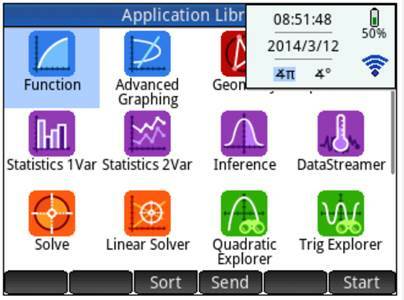 The wireless kit** enables communication between teacher / examiner and student . 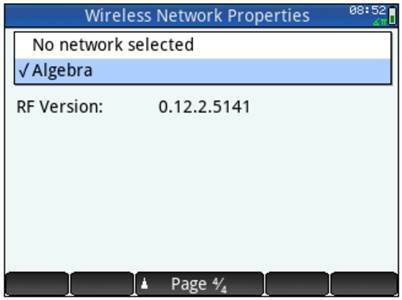 It works similarly to a wireless mouse : the student chooses the network of his choice and then connects automatically . So, when several teacher-kits are available, this means that the correct network has to be chosen for a new teacher once. If they have the same teacher every week , they just have to do this once, a next time/lesson, the Prime will automatically connect . 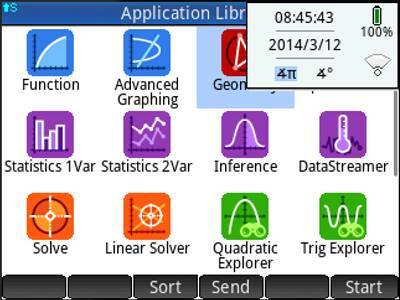 The choice of networks is very simple , by pressing an icon in the corner of the screen and choose the right network. 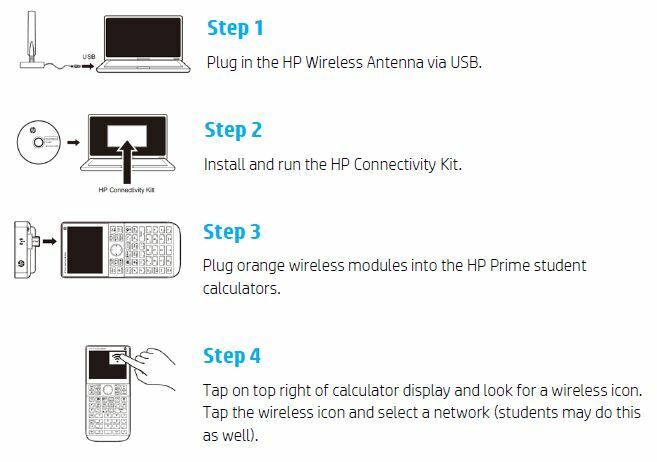 Getting your HP Prime Wireless Kit set up for classroom use is quick and easy. Please follow these steps to get started.